SFWA has released the final ballot for the 2008 Nebula Awards, to be announced during the 2009 Nebula Awards Weekend, April 24-26, 2009 in Los Angeles CA. Novels: Little Brother, Cory Doctorow (Tor); Powers, Ursula K. Le Guin (Harcourt); Cauldron, Jack McDevitt (Ace); Brasyl, Ian McDonald (Pyr); Making Money, Terry Pratchett (Harper); Superpowers, David J. Schwartz (Three Rivers). Novellas: “The Spacetime Pool”, Catherine Asaro (Analog 3/08); “Dark Heaven”, Gregory Benford (Alien Crimes); Dangerous Space, Kelley Eskridge (Dangerous Space); “The Political Prisoner”, Charles Coleman Finlay (F&SF 8/08); The Duke in His Castle, Vera Nazarian (Norilana). Novelettes: “If Angels Fight”, Richard Bowes (F&SF 2/08); “The Ray-Gun: A Love Story”, James Alan Gardner (Asimov’s 2/08); “Dark Rooms”, Lisa Goldstein (Asimov’s 10-11/07); “Pride and Prometheus”, John Kessel (F&SF 1/08); “Night Wind”, Mary Rosenblum (Lace and Blade); “Baby Doll”, Johanna Sinisalo, David Hackston, trans. (The SFWA European Hall of Fame); “Kaleidoscope”, K.D. Wentworth (F&SF 5/07). 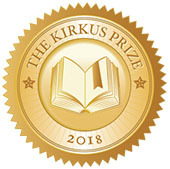 Stories: “The Button Bin”, Mike Allen (Helix 10/07); “The Dreaming Wind”, Jeffrey Ford (The Coyote Road); “Trophy Wives”, Nina Kiriki Hoffman (Fellowship Fantastic); “26 Monkeys, Also the Abyss”, Kij Johnson (Asimov’s 7/08); “The Tomb Wife”, Gwyneth Jones (F&SF 8/07); “Don’t Stop”, James Patrick Kelly (Asimov’s 6/07); “Mars: A Traveler’s Guide”, Ruth Nestvold (F&SF 1/08). Scripts: The Dark Knight, Jonathan Nolan, Christopher Nolan, David S. Goyer (Warner Bros.); “The Shrine”, Brad Wright (Stargate Atlantis); WALL-E, Andrew Stanton, Jim Reardon, Peter Docter (Pixar). Andre Norton Award: Graceling, Kristin Cashore (Harcourt); Lamplighter, D.M. Cornish; Savvy, Ingrid Law (Dial); The Adoration of Jenna Fox, Mary E. Pearson (Holt); Flora’s Dare, Ysabeau S. Wilce (Harcourt).